ParkCloud is dedicated to connecting the world's drivers with parking spaces. 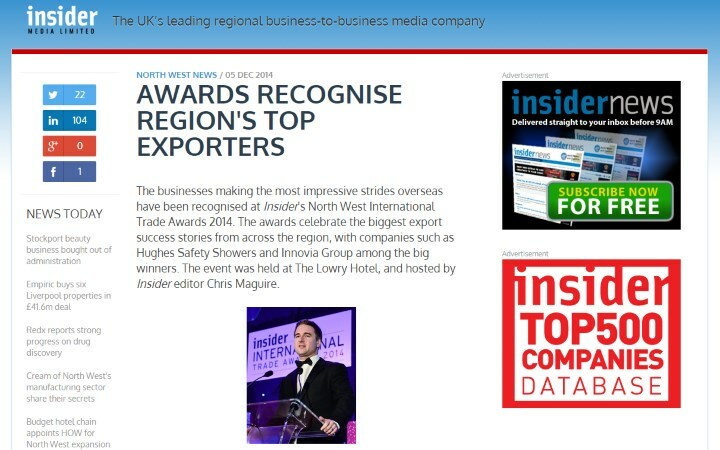 "The businesses making the most impressive strides overseas have been recognised at Insider's North West International Trade Awards 2014." 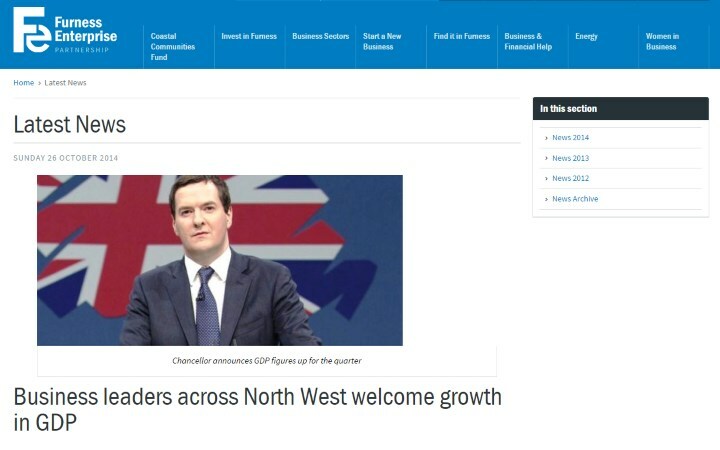 "ParkCloud based in Stockport is achieving success via international sales, with a 400% increase in international growth this year." 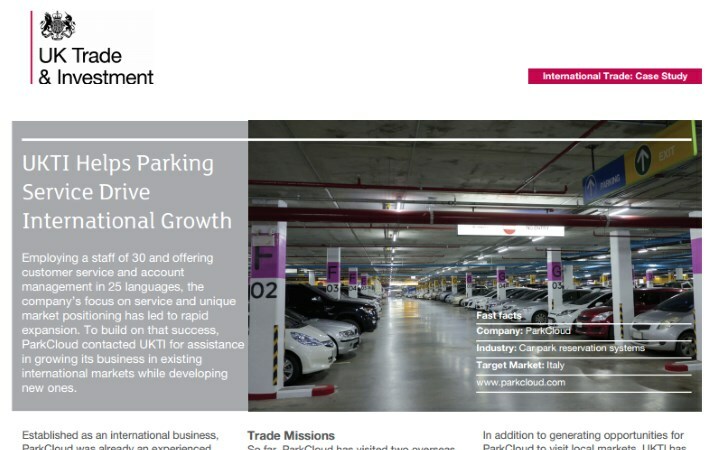 "ParkCloud was already an experienced exporter when it first made contact with UK Trade & Investment." 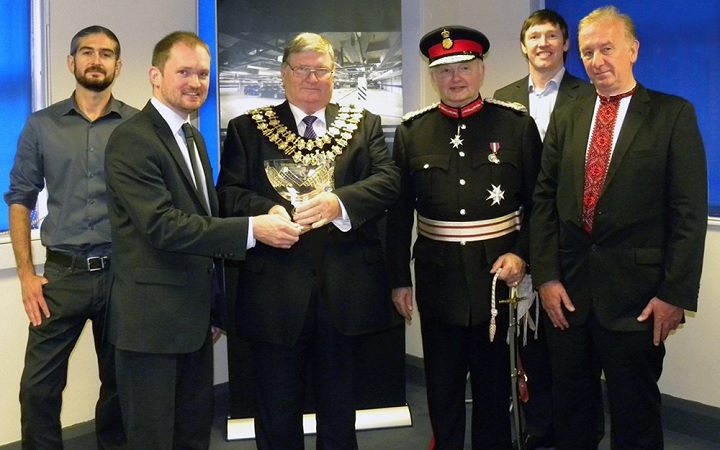 "Online parking reservations specialist ParkCloud has been presented with the Queen's Award for Enterprise." 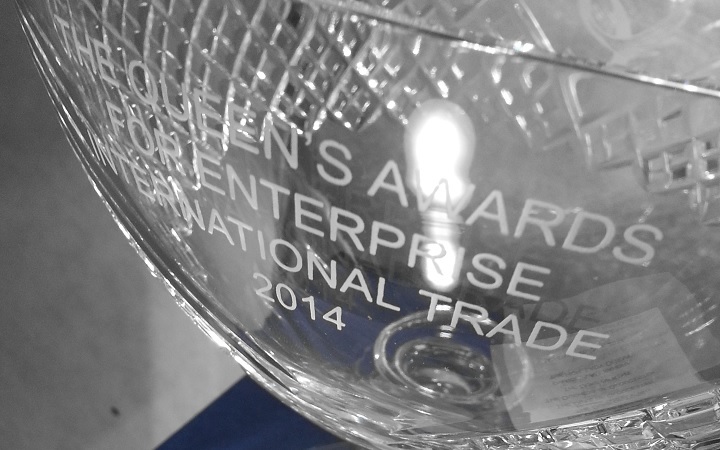 "The Queen's Awards are highly prestigious awards for outstanding achievement by UK businesses, judged to a demanding level." 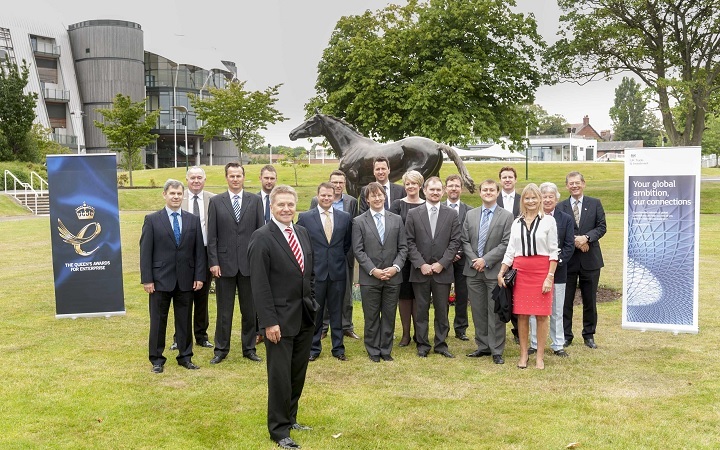 "The company was awarded the Queen's Award in respect of extraordinary international growth: over 400% over the last three years." 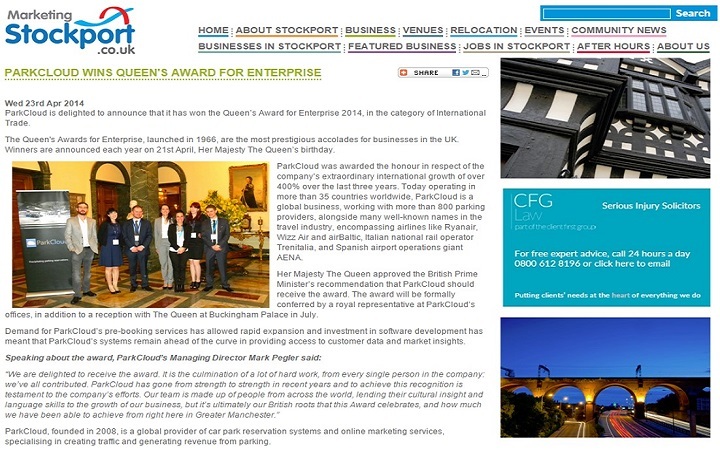 "Her Majesty The Queen approved the British Prime Minister's recommendation that ParkCloud should receive the award." 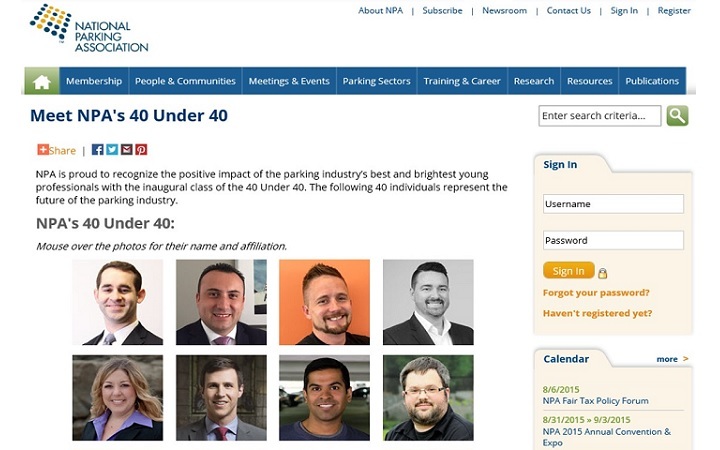 "NPA is proud to recognize the positive impact of the parking industry's best and brightest young professionals with the inaugural class of the 40 Under 40." 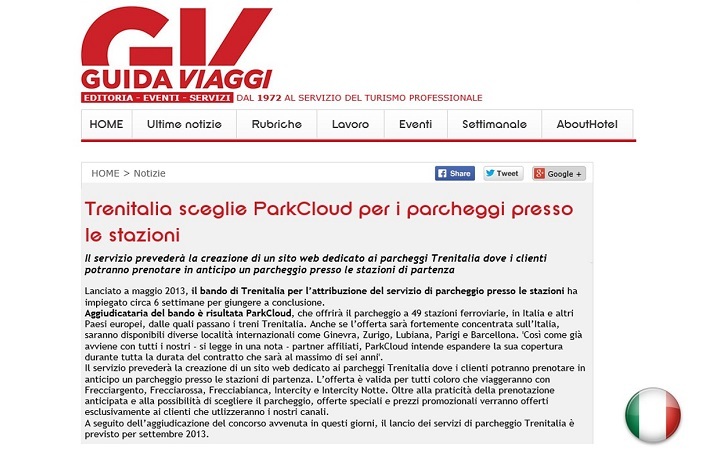 "ParkCloud has become one of the prime movers in the world of airport parking. Chris Gilson talks to director Mark Pegler to find out the secret of its sucess." 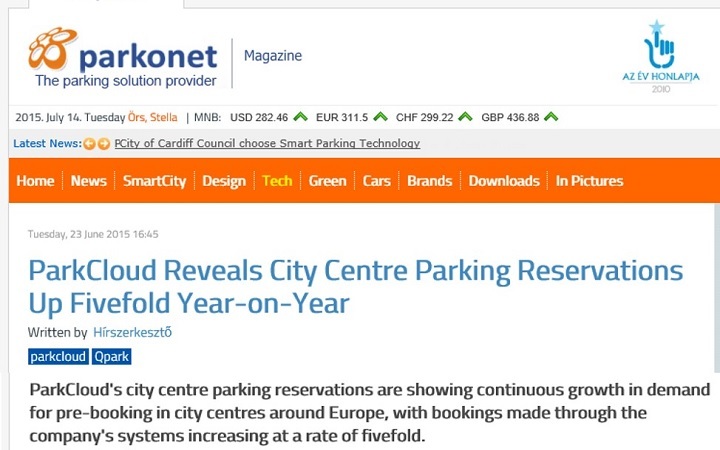 "The figure was drawn from data analysed through ParkCloud's own booking management platform ParkCloud.net, and demonstrates that drivers are taking the same attitude to city parking as they would at airports, train stations and ports." 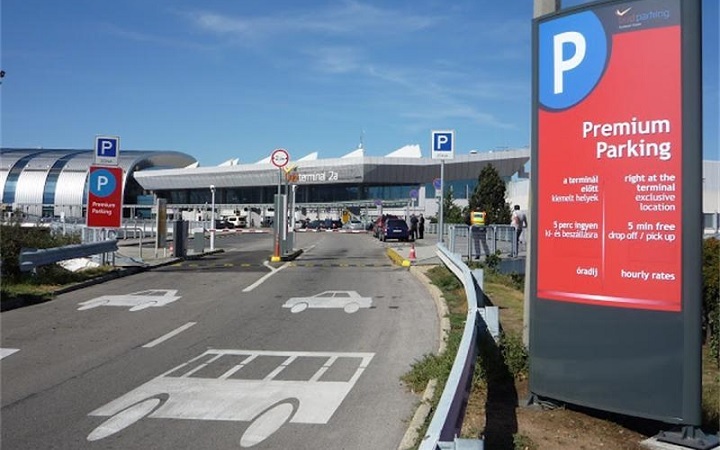 "ParkCloud's network of advance booking portals offer the airport's complete range of services to passengers looking to secure a parking space ahead of their journey." 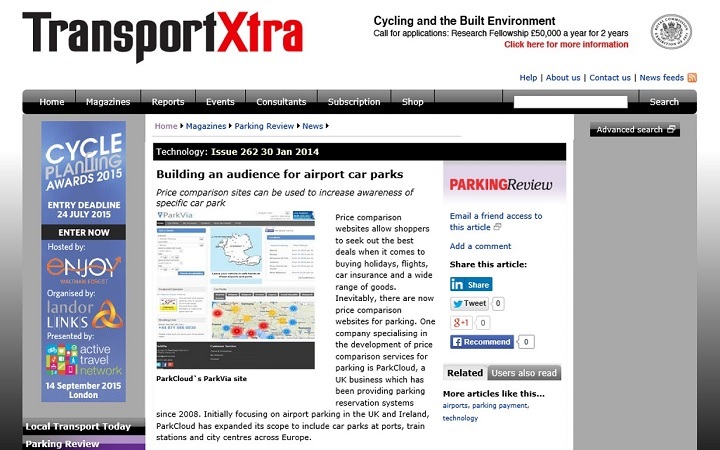 "Price comparison sites can be used to increase awareness of specific car park." 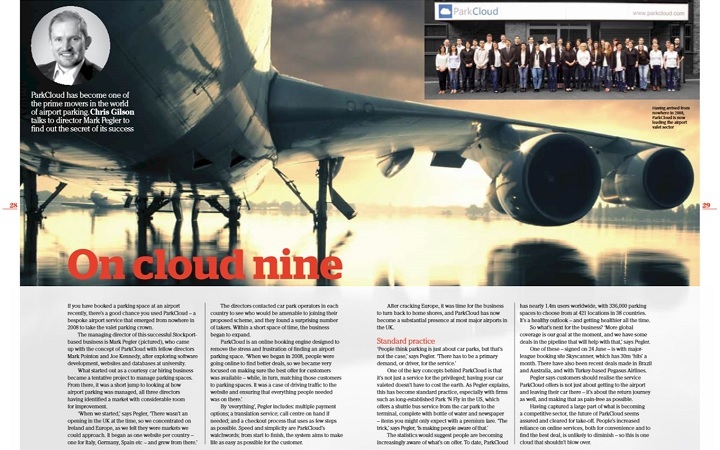 "ParkCloud's offer to the airline's passengers extends from Reykjavik in the west to Moscow in the east, together with the vast majority of its destinations and bases in between, including Budapest, Prague, Poznan, Bucharest and Sofia." 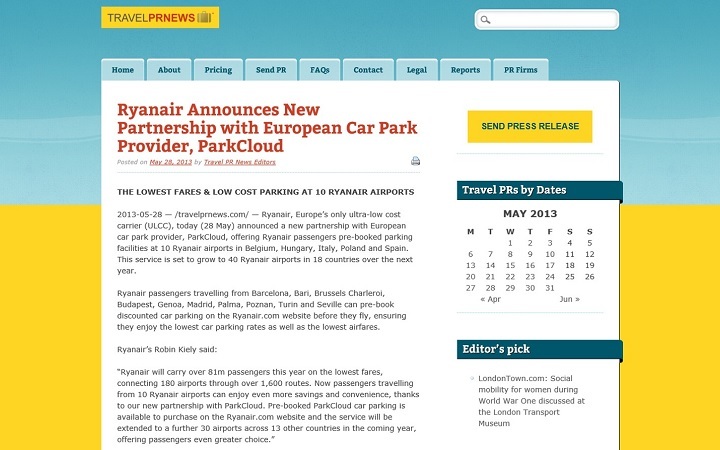 "Ryanair passengers travelling from Barcelona, Bari, Brussels Charleroi, Budapest, Genoa, Madrid, Palma, Poznan, Turin and Seville can pre-book discounted car parking on the Ryanair.com website before they fly, ensuring they enjoy the lowest car parking rates as well as the lowest airfares." "Pegasus Hava Yollar?, misafirlerine yeni i? orta?? ParkCloud ile 30 ülkede havaalan? 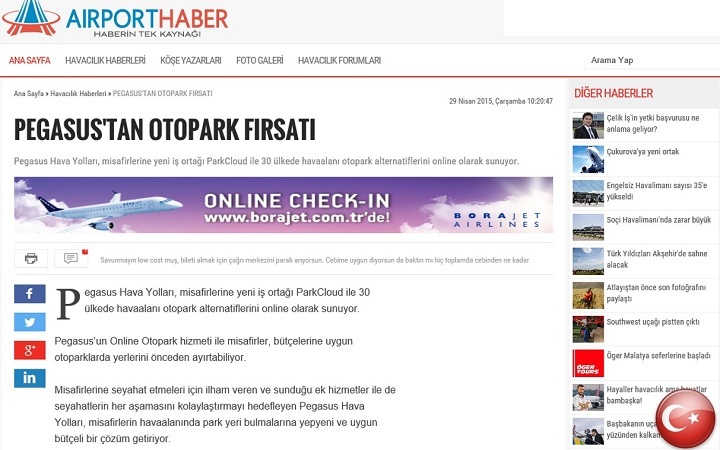 otopark alternatiflerini online olarak sunuyor." "Nosso maior mercado são as vagas em aeroportos, as quais os motoristas vêm buscando formas de pré-reservar há alguns anos. No entanto, também trabalhamos com operadores de portos, estações de trem e estacionamentos nos centros de grandes cidades." "La stagione estiva ha visto, poi, il lancio della nuova versione del sito web ParkVia, sul quale è ora possibile prenotare un posto auto in quasi 900 parcheggi in diverse località in tutto il mondo." "Il servizio prevederà la creazione di un sito web dedicato ai parcheggi Trenitalia dove i clienti potranno prenotare in anticipo un parcheggio presso le stazioni di partenza." Winner of the Queen's Award. © ParkCloud ® Since 2008.